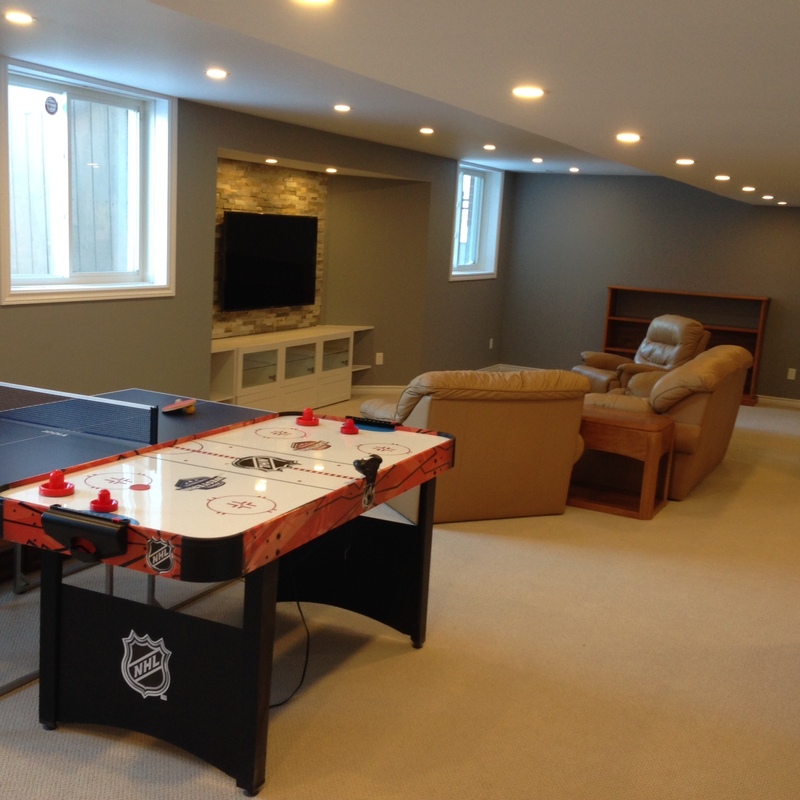 Stephanie and Todd have two children and wanted 850q ft of the basement in their Orleans home renovated as a family area, play area, separate gym room and storage room. A bathroom was also framed for a future renovation. Day 1: Exterior walls were already framed. 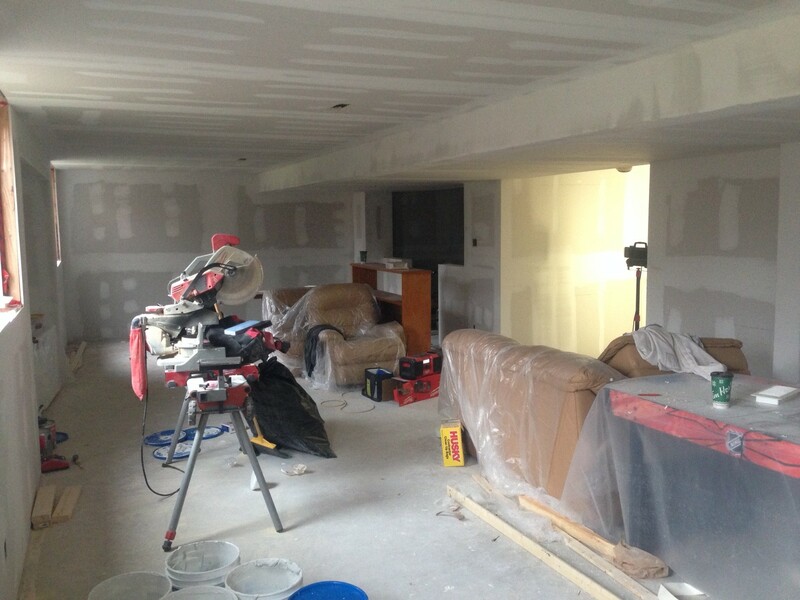 We got to work framing the interior walls for a gym, family room, furnace room, storage room and future bathroom. 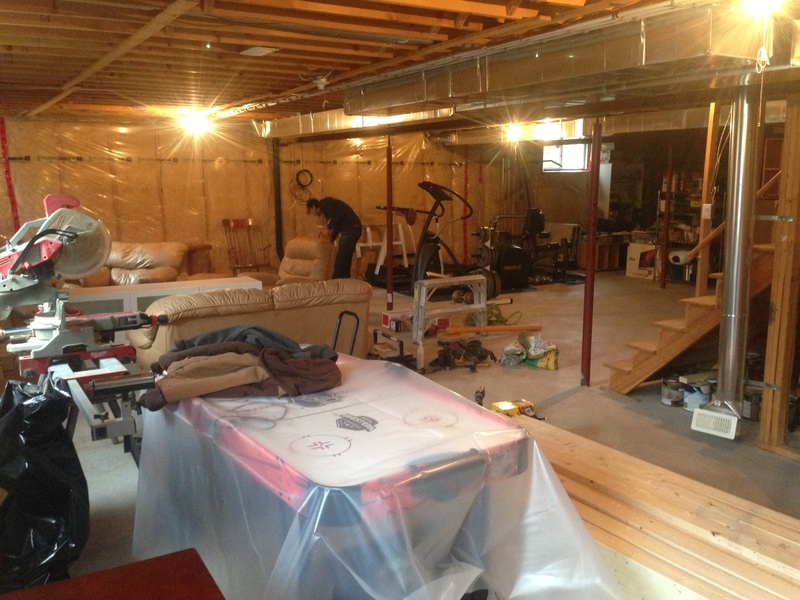 Day 5: Basement renovation walls are framed, drywalled, mudded and sanded. 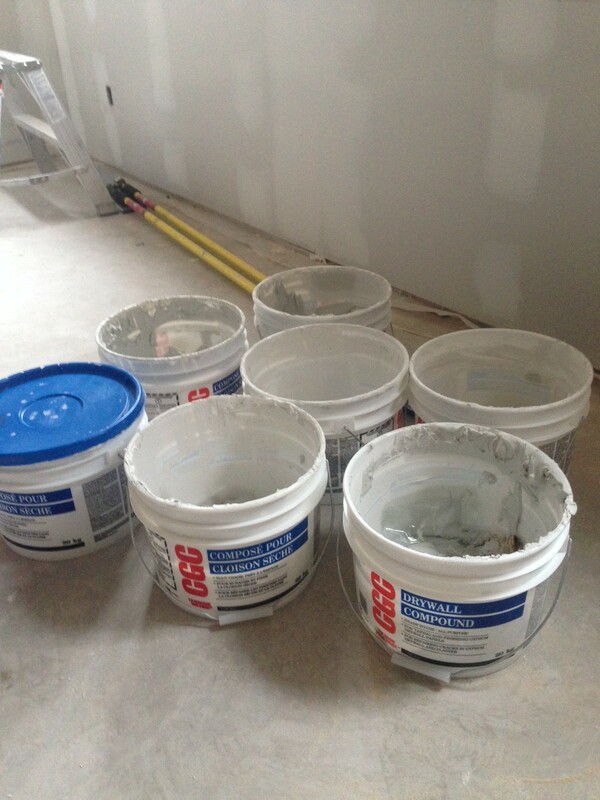 Many buckets of drywall mud for all the new basement walls. 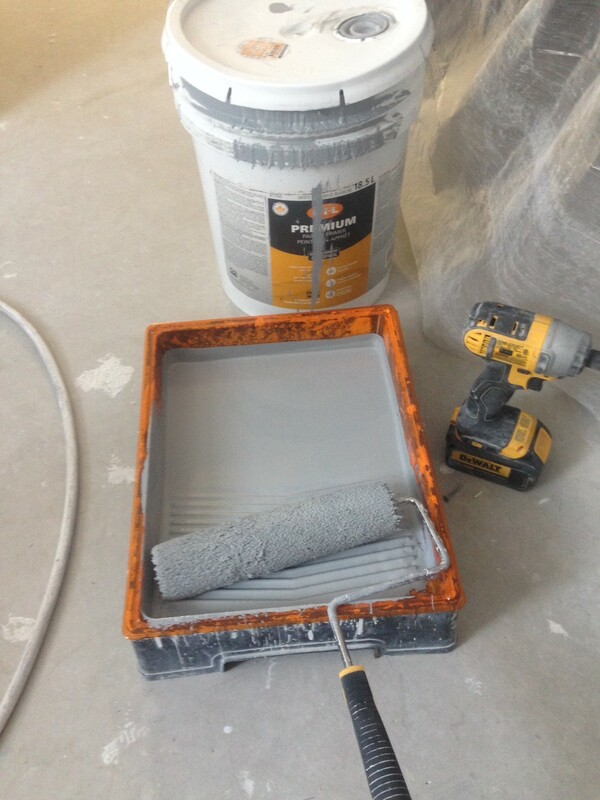 West Coast Grey going on the basement walls. 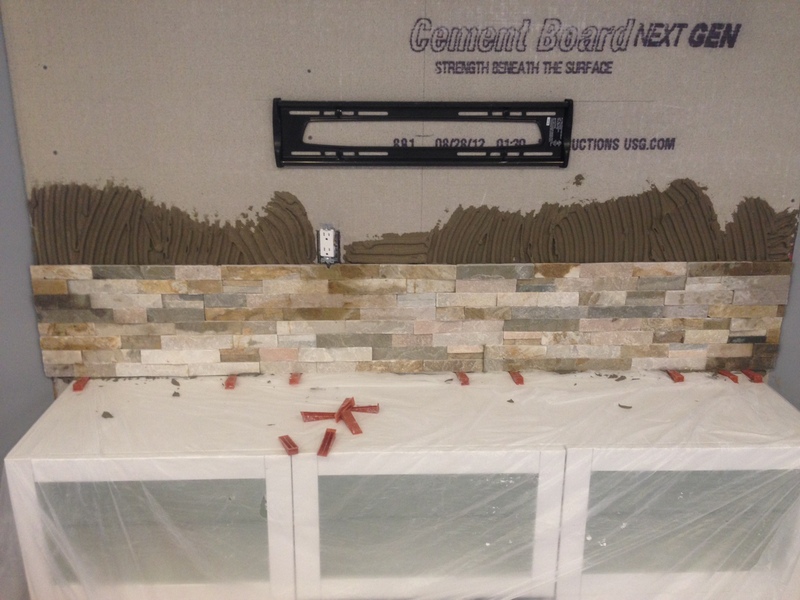 Day 15: Homeowners chose an Ikea TV unit and ‘Sassy Stone’ from Home Depot for the entertainment area. 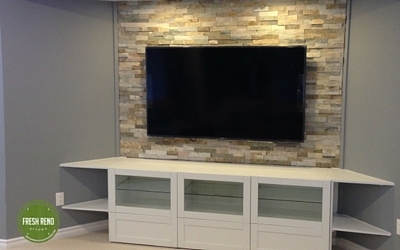 Completed entertainment area with corner shelves and recessed lights to highlight the stone. 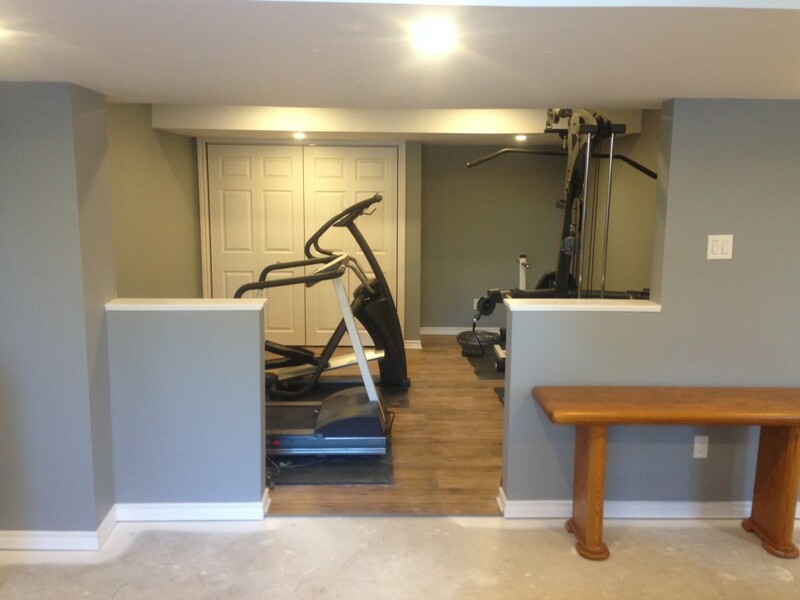 Day 17: Completed gym area with closet and laminate floor in “Autumn Hickory” from Home Depot.